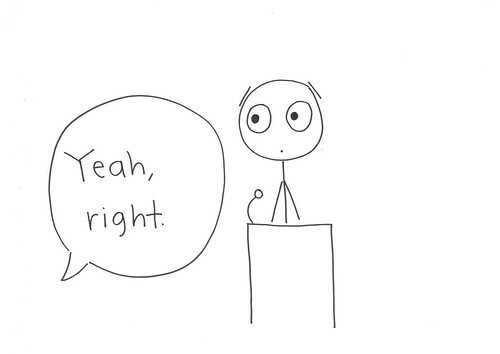 A linguistics professor was lecturing to his English class one day. 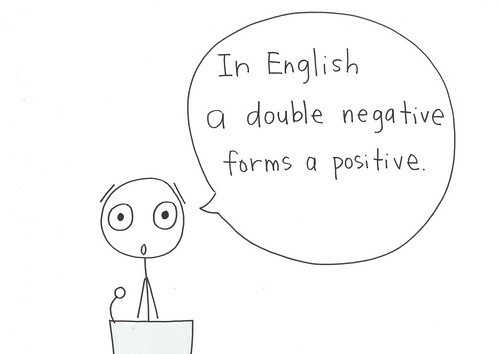 "In English," he said, "A double negative forms a positive." 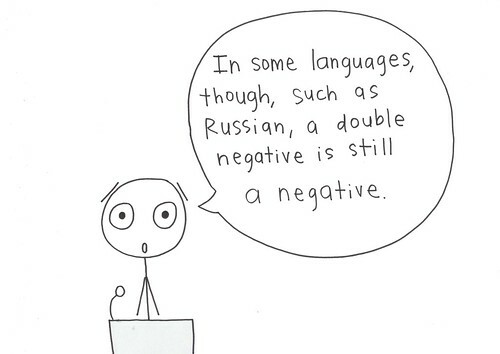 "In some languages, though, such as Russian, a double negative is still a negative." 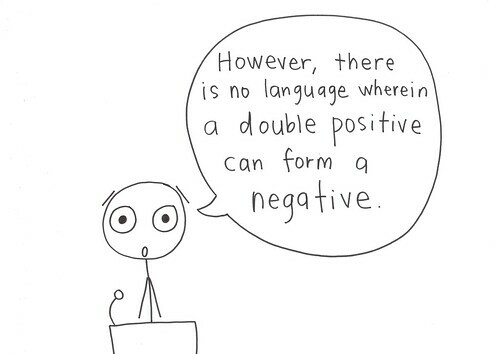 "However, there is no language wherein a double positive can form a negative." From Friday Joke on show 499.